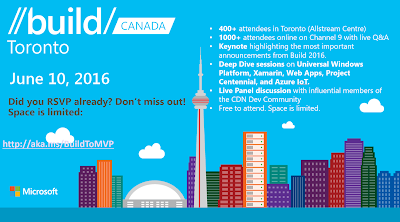 In just a couple of days, Microsoft BUILD Tour Canada will be returning for 2016. Unfortunately the onsite in person event is now SOLD OUT! You can still watch it LIVE and experience all the great Microsoft speakers on some new Microsoft technologies that have just been announced. 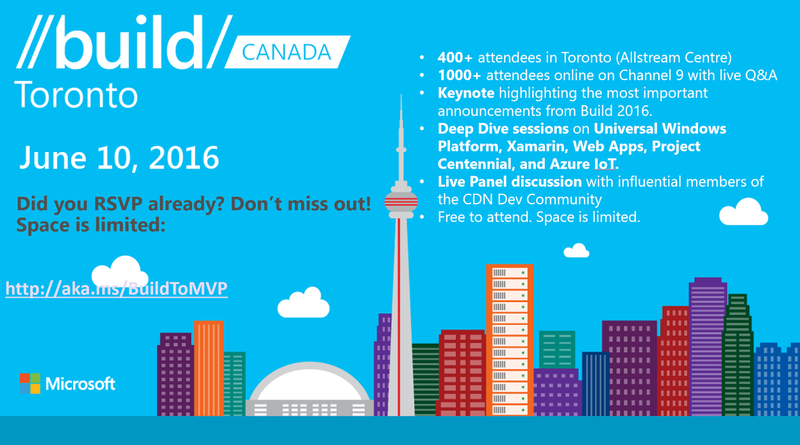 Make sure you register for the live stream here: LIVE STREAM Microsoft BUILD Tour Canada. Unlike the general Build Conference, this event is completely free event!